Based in Beijing, the Carnegie–Tsinghua Center for Global Policy brings together leading policy experts and practitioners from China and around the world to engage in collaborative dialogue and research. The Carnegie–Tsinghua Center works with Carnegie’s other global centers to host conferences, roundtables, seminars, and closed-door briefings and to publish timely and incisive analysis on the most pressing global issues, including international economics and trade; energy and climate change; nonproliferation and arms control; and security threats in North Korea, Iran, South Asia, and the Middle East. Established in 1911, Tsinghua University is one of China’s premier universities. Read about the Carnegie-Tsinghua Center and Young China Watchers Mentorship Program. The Lau China Institute is a multi-disciplinary centre for the study of all aspects of China, and with partners across Greater China. It undertakes three core functions: high quality teaching through masters and doctoral programmes; extensive outreach through working in partnership with organizations in the business, government, media, and public realm; and credible and high impact research. The Lau China Institute aspires to be the strategic body at the heart of King’s College’s multi-faceted links with institutions, individuals and issues across Greater China. It aspires to be a global centre, at the global university, in a global city, on a global issue. The Mercator Institute for China Studies (MERICS) is one of the largest international think tanks for policy-oriented research on contemporary China. The Berlin-based institute analyses political, economic, social, technological and ecological developments in China as well as their international impact. MERICS aims to communicate a nuanced view of China and to enhance in-depth knowledge of China in Europe. The institute was established in 2013 as an initiative of Stiftung Mercator. The China Institute at SOAS, University of London represents the largest community of China scholars under one roof in the whole of Europe. The Institute showcases the strength of Chinese Studies research at SOAS in the humanities and the social sciences, from ancient times to the present. The Institute’s Masters-level teaching programmes provide students with a balanced and rounded set of highly competitive skills that are in demand for a broad range of careers. 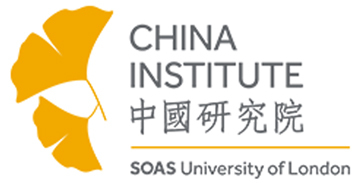 Through its events, briefings, and bespoke training courses, the SOAS China Institute (SCI) channels the unrivaled breadth and depth of SOAS understanding of China to the wider worlds of government, business, media, education, the arts, NGOs and beyond. Founded in 1975 and based in Honolulu, Hawaii, the Pacific Forum CSIS is a nonprofit, private, foreign policy research institute that operates as the Asia Pacific arm of the Center for Strategic and International Studies of Washington, D.C. Pacific Forum CSIS runs several programs including The Young Leaders Program, which serves as a catalyst for training young professionals in international policy affairs at an early juncture in their careers. The institute also puts out Comparative Connections, which provides a timely, concise, and comprehensive source of information and analysis on key East Asian bilateral relationships.